← Want local food? It won’t come cheap! Who is working on our (in)justice system?
. . . AND OUR CORRUPT DE FACTO GOVERNMENT? Hint: there is more than one ongoing effort! Many have figured out that our country is drowning in injustice, corporatism and corruption! We have a greater percentage of the population incarcerated than any other country in the world! And it is not because American’s are more dastardly than any other nation. It is because our system has been intentionally set up to fine and imprison us for ‘statutory violations’ which do not require an injured party. In other words, we can be penalized when no real crime has been committed. In fact in some parts of the country they are implementing ‘debtors prisons’ policies. Our government has been transformed over the years (by stealth) into the Democratic-Federal Franchise by the name of USA INC. Essentially we now have a defacto corporate government that has been crafted by the evil alliance of banksters and Esquires (lawyers). The good news is that there are some amazing folks working on restoring our Bill of Rights and our Constitutional form of government. Each month journalist Benjamin Fulford reports on Rense radio the behind the scenes ongoing efforts by ‘white hats’ that he is privy to. Mr. Fulford lives in Japan and has studied the history of the Illuminati and the gangster/banksters who are trying (and failing) to take control of the world economy – and population. Just last April Fulford reported that banksters are being arrested across the planet. Christopher Story exposes the fraud of the gangster/banksters regularly on his web site Global Analysis. He also reports on the legal actions that have been taken by A. Clifton Hodges and Associates to recover money the global gangsters have stolen. In 2009 Rodney Dale Class and Carl Weston (both are Private Attorney Generals) filed a lawsuit in the District of Columbia challenging the Federal/municipal corporate franchise that has been created in the U.S. This amazing lawsuit is by no means ‘settled’ or ‘disappeared’. In fact support for this effort has grown monumentally since and both Mr. Class and Mr. Weston have stepped up their efforts to educate those interested in helping to restore the Bill of Rights and the Constitutional Republic. In April, 2010 Rod and Carl explained their lawsuit, its implications and revealed more documented ‘fraud’ by the ‘federal government’. 27 minute audio clip of that discussion. Class/Weston updates can be followed on their www.rayservers.com/blog site. They also frequently discuss the county assembly program that is rapidly growing across the country. But perhaps the longest ongoing organized battle in the United States to fight the psychopathic banking globalists is the legal actions that were launched by a group of American farmers in the 80′s. These farmers pursued (and were jailed as a result) lawsuits against both the banksters and their partners – agencies of USA INC. One of these farmers, Darryl Freck and his wife did not take the theft of their farm laying down. They pursed all legal actions available to them and in the process discovered the complicity of the lawyers , banksters and government against our farmers. Pastor Lindsey Williams did a video explaining the Federal Reserve’s attack on U.S. farmers and Willie Nelson started Farm Aid to help them. 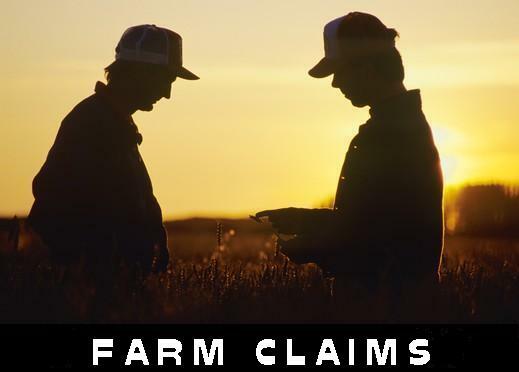 On July 2, 2010 Darryl Freck, farmer/researcher extraordinaire, explained his experiences in this effort and the critically important result of the class action lawsuit referred to as “Farm Claims”. He did a fabulous job explaining what precipitated the “Farm Claims” and how they are now a part of a much bigger effort to recover our Constitutional government and put the corrupt banksters out of business. Mr. Freck supported Mr. Fulford’s claim that many banksters have already been arrested and acknowledged that the Restore America Plan has an important role to play. However, he cautions that any efforts to get remedy via the implementation of ‘common law’ are not wise at this time. The ‘system’ has become quite militaristic in its efforts to protect its ‘power’ and conceal its corruption. Lots of folks working to overcome this evil (those trying to enslave the world represent) are religiously/spiritually motivated. There are efforts that I haven’t listed as well. They all seem to believe in the beauty and awe the creation and our world represents. They all understand there is a higher power of goodness that cannot be defeated. After all, a one year old child can stomp on a cockroach, but who among us can design its life cycle . . . one that would last for thousands of years? What is now happening on our planet is an ‘organic’ response against evil, greed, and destruction that author Paul Hawken called Blessed Unrest and others call the loving hand of God. Excerpts: So, how does a Creditor, dealing in “unsecured” debt like credit cards, get the Court to enforce collection of a loan that has no collateral or enforcement provisions? 1. Credit Card companies sell bad debts for pennies on the dollar to law firms. Banks have insurance to cover these debts, and also benefit from the full write-off. They are, in essence, made whole. 2. The legal firms do their best to get the consumer to validate the debt (admit that it is theirs) so that they can go to Court and obtain a Judgement. How a an unsecured debt, which has no enforceable payment provision, becomes a secure debt through a Court Order, remains one of life’s great mysteries. 3. With Judgement in hand, lawyers are free to place a lien on homes, garnish wages and secure other assets, even though the creditor’s original agreement with the Credit Card company states very clearly that the debt was unsecured. Credit card companies offset their risk through higher interest rates on their products because they have no other way of guaranteeing payment! Unless, of course, they can prove fraud. Non-payment, by the way, is not fraud. 4. The Legal firm will write off any debts at their full value (even though they only paid pennies on the dollar), thus making a profit on the write-off. They can also resell the debt to other law firms or collection agencies. 5. By law, a credit card debt that goes unpaid should be removed from a person’s credit report after 7 years have passed since the last payment. Through reselling these debts and reporting as a new debtor, the collection agencies illegally take the original debt past the 7 year mark and can be sued by a consumer for damages under the Fair Credit Reporting Act. I have done this, and won. To throw an individual in prison for non-payment of an unsecured debt is one of the ultimate manifestations of criminal insanity. Especially since the original creditor has already been satisfied by insurance and write-offs, and the debt is “unsecured”. The result of this practice is ultimately forced labor camps and indentured servants, something that was done to the freed black slaves in the “Anti-Bellum” South and also in Medieval Europe. This entry was posted in corruption, Government and tagged Ben Fulford, constitution, defacto, Farm Claims, Rodney Dale Class. Bookmark the permalink. Our current ‘court system’ is so corrupt they don’t play by any rules. The answer is of course what the Restore America Plan is trying to achieve . . . eliminate USA INC and return to Constitutional (Common Law) government. 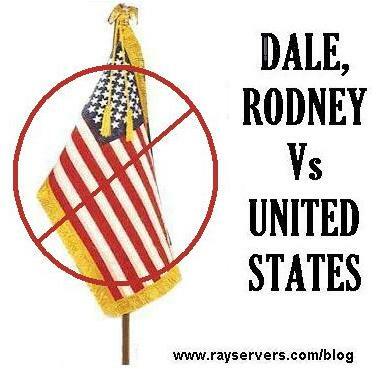 A review of DALE Vs UNITED STATES and their blog on Rayservers.com will help explain it. Dr Fred Graves JD has devoted his life to the teaching of the rules of court of the american superior court system to all americans to empower them to become effective pro-se and pro-per litigants. His course is affordable, easy enough so any 8th grader can comprehend it, and condensed into 20 hours of video, two CDs of audio lectures, and a wealth of electronic documentation and access to others across the nation doing the same. Going through this course and mastering the rules of court that it teaches can seriously affect how the general population can defend itself against current and future abuses of the legal system. I strongly recommend if any want to preserve and effect the court system- while we still have one – that they get the Jurisdictionary course and get up to speed – and help others do the same. mention alex from labvirus.com for a discount. However if you listen to the three hour interview of Farm Claimant Darryl Freck, you will be surprised. Many wise and wonderful people have come to your conclusions years ago and have already started making many of the changes you see as imperative. How would you like to begin a peaceful, legitimate political action which could roll back the last 100 years of government growth and national debt along with the hated federal income tax and the Fed? What if you could force Washington to return to a strong dollar policy and allow real currency competition to escape the near total destruction of the dollar now worth only 5 cents of the 1913 dollar? Imagine a future when the President would be forced to seek a Declaration of War and get the states and citizens behind any new military incursion, invasion or bombing? We all know that Congress regardless of Democrat or Republican control is now only a tool of special interests that have taken over our government and now direct it primarily to increase their wealth, corporate profits and market share and power. Congress is increasingly irrelevant to control Washington or make foreign policy as this course is also charted by these interests and carried out by the president, now only a pretender and front man to promote their agenda. Comments worth reading as well…gets the mind percolating!